Mauricio Ramirez may be soft-spoken, but he found his voice among the color-splashed walls of San Francisco’s Mission District. Above: A section of a mural by Isaías Mata, 500 Years of Resistance, 1992. Photo: Carolyn LagattutaRamirez is an oral historian, interpreter, and, in his own words, “an interlocutor” for murals that speak for immigrants from all over the world, including Ramirez’s ancestral homeland El Salvador. His parents fled the country in the 1980s in the midst of a brutal civil war that lasted until 1992, leaving 75,000 dead. In portraits of laborers, immigrants, and martyrs, in streaks, dots, fine lines, and daubs of red and orange paint signifying blood and fire, in shoots of green showing growth and regeneration, these murals tell the story of people. They tell tales of diaspora, of escape from genocide, grand ambitions, artistry, and collective identity. They also tell the story of the Central American “pioneers” who fostered a creative renaissance across America, while brightening drab and dreary walls with their paintbrushes. “This is part of Central American history,” said Ramirez, 28, one foggy winter morning in Balmy Alley, a block-long public art display between 24th and 25th streets in San Francisco’s Mission District. 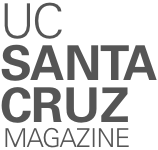 Mauricio Ramirez is one of a dozen UC Santa Cruz graduate students who received support from the campus’s new Social Science Research Council Dissertation Proposal Development Program. 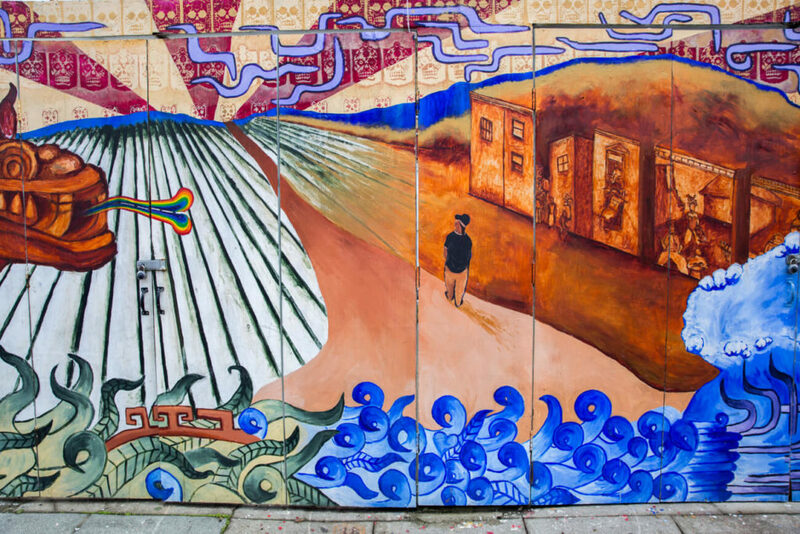 Recipients received $5,000 and were invited to attend two dissertation-proposal workshops with doctoral students and advisers from four other universities.Balmy Alley contains one of the greatest concentrations of murals in all of San Francisco. The paintings here are so mesmerizing that it is easy to forget that the “canvas” is the back walls of homes and apartment buildings. Sometimes, a visitor will look, hypnotized, at a piece of artwork, only to see that painting tilt upward unexpectedly when someone opens a garage door. Ramirez paused for a moment in front of a 2004 mural painted by the artist Joel Bergner called “Un Pasado Que Aún Vive” (“A Past That Still Lives Here”), depicting a Salvadoran village under siege. The shapes of trees beneath a jungle-covered volcano suggest ghostly faces. Perhaps they’re the phantoms of guerillas who died fighting the right-wing government, or they may be among “los desaparecidos”—the civilians who, presumably killed by the military or police, vanished and were never seen again. While California’s Chicano art movement has received a large amount of attention from academics, relatively little has been said about Central American art, and, specifically, Salvadoran murals. That’s why Ramirez dedicated his life to telling the story of San Francisco’s Central American–themed murals, collecting expansive oral histories from the artists; doing academic studies of the murals as part of his work toward a Ph.D. at UC Santa Cruz; and teaching art, murals, mural history, and life skills at juvenile hall facilities in San Mateo and San Francisco with the nonprofit organization The Imagine Bus Project. He also makes art of his own, either alone or as part of mural projects. Murals such as the ones in Balmy Alley foster a strong feeling of comfort and acceptance for immigrants and their children. “Central Americans see these murals and feel welcomed,” Ramirez said. But lately, Ramirez’s personal mission has taken on a new degree of urgency, at a time when immigrants in the United States—including hundreds of thousands of Salvadoran immigrants—face a new set of hurdles and circumstances. Most chillingly for Ramirez, the Trump administration announced this winter that it was ending a humanitarian program called Temporary Protected Status (TPS) for Central Americans—including Salvadorans and Nicaraguans—who had been permitted to live and find work in the United States legally in the aftermath of natural disasters and political upheavals. The protections, instituted in 1990 for the survivors of such traumas as earthquakes and civil wars, were routinely extended. The decision regarding the fate of Hondurans under the protection of the TPS program is pending. This decision affects 200,000 Salvadorans living in the United States. Those who have not attained permanent residency in the U.S. face deportation. The measure goes into effect next year. Prior to a devastating 2001 quake in El Salvador, another great upheaval took place—the savage civil war from 1980 to 1992 that pitted a ruthless military regime, backed by the United States, against leftist rebels. Hundreds of thousands of Salvadorans fled the violence, seeking refuge in the United States and other countries. Ramirez sees the bitter irony in the reversal of Temporary Protected Status. “I like to call it the double displacement—not just from the immigration policy change, but also from the tech boom, the gentrification, the rising cost of real estate,” Ramirez continued. On top of this, Ramirez noted, some Salvadorans are in a precarious state. Many—but not all—of the Salvadorans who emigrated to the United States lawfully or illegally over the past few decades have become naturalized citizens. Those who haven’t face a potentially agonizing situation. “It is heartbreaking to see families are being split up once again,” Ramirez said. 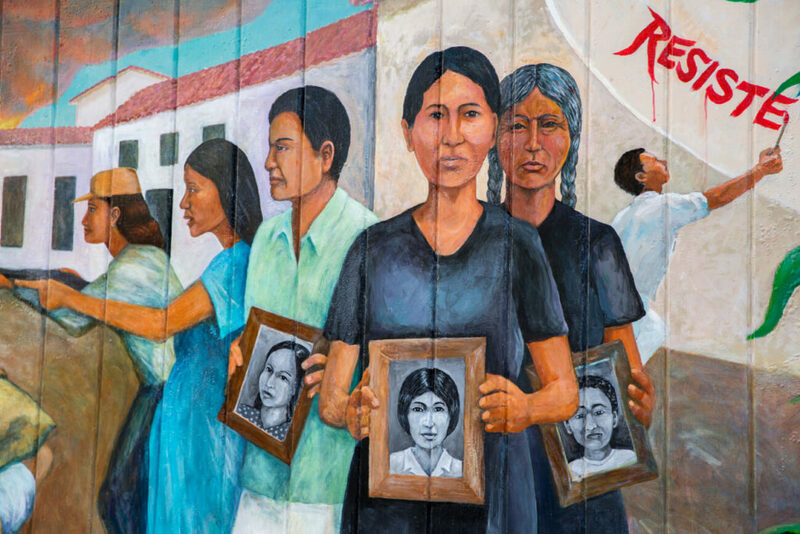 Ramirez sees a direct link to the displacement of those Salvadorans and the fate of the Mission’s murals; those public works of art could lose their cultural context, as well as their protections, if the people who made the art, advocate for it, and protect it, are forced to go away. “If the population shifts, if it gets displaced, will the murals remain here?” he asks. Balmy Alley is an important heritage site for Central Americans, but the Mission has many other beautiful murals. One of the most remarkable is “500 Years of Resistance” by the Salvadoran artist Isaías Mata. Newly restored, this panoramic artwork on two sides of St. Peter’s Church on 24th street is a monument to resilience and pan–Latin American identity. One side of the church has images of saints and martyrs, including Martin Luther King Jr. and Archbishop Oscar Romero, who became a national symbol of resistance when he stood up to the murderous right-wing regime in El Salvador; he was killed by a death squad sniper in 1980. On the other side, the mural delves much deeper into the past, showing a magisterial Olmec head from Mesoamerica and a Nazca figure from ancient Peru. But not all murals enjoy the same level of public support and protection. At 24th and Folsom streets, a two-part mural on a shop wall, created by Mission youth artists, was whitewashed because the building’s owners had just leased the ground-floor space to a new restaurant and wanted “something bright,” according to a story published last year in the Mission Local news blog. After the owners replaced a mural saying, “Our Culture Is Not for Sale,” with skulls, skeletons, and other vibrant images from Mexico’s “Día de los Muertos” (“Day of the Dead”), the artists and their supporters protested. The owners eventually agreed to work with Precita Eyes Muralists, the nonprofit organization that commissioned the original artwork, to replace the mural with help from neighborhood youth. Such problems can be vexing for Ramirez and others who love the murals. Then again, the muralists of the Mission have lived and persevered through dire circumstances before. In fact, it was a moment of crisis that led to the creation of the Balmy Alley public art project in the first place. Back in 1984, a collective of artists, calling themselves PLACA (the literal translation is “badge” or “insignia,” but “placa” can also mean leaving a personal mark on a place), incensed by the United States’ support of brutal regimes in Central America, took over the alley. Thirty-six artists crafted 27 murals, telling the story of the beauty and culture of El Salvador, Nicaragua, and Guatemala, and the armed conflicts and acts of genocide that sent millions of their residents fleeing to the far corners of the world. In doing so, PLACA gave birth to a cultural icon. Their murals helped build solidarity among Central American immigrants and beautify drab and gritty city blocks, while sharing hundreds of years of history with artful brushstrokes. 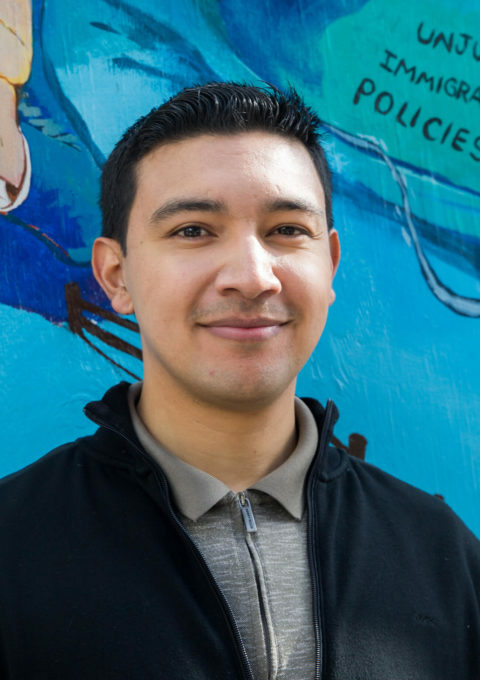 It’s no small wonder that Ramirez, a San Francisco native who grew up close to the Mission District in the Excelsior neighborhood, found his life’s calling here as a young man, thanks in large part to Precita Eyes Muralists. The nonprofit makes and preserves murals of the Mission, providing historical information and expertise, as well as painting supplies and docent-led mural tours. While Ramirez talks about the way murals can build community, he is also aware of a troubling contradiction: landlords and developers often use the “funky,” “authentic,” and creative atmosphere of the Mission, including its murals, as incentives to lure renters and homebuyers, even as those same gentrifying forces make it harder for Salvadorans of modest means to keep living in the city whose walls tell their story. 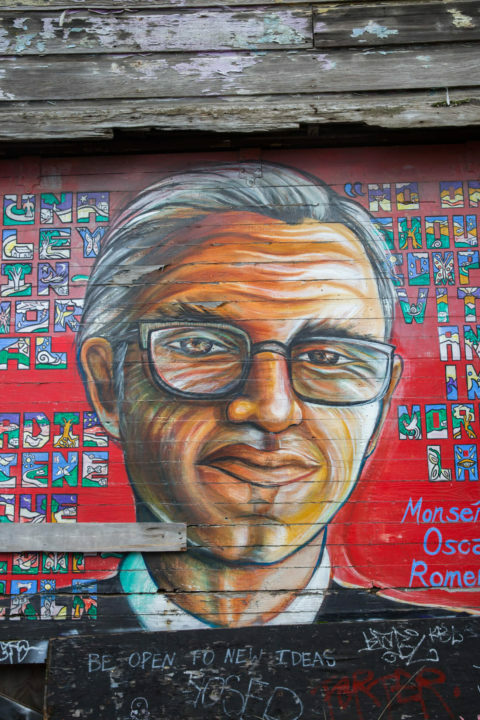 This irony has not been lost on Josué Rojas, executive director of nonprofit Acción Latina, a respected figure in the world of San Francisco’s murals, and one of the artists featured in Ramirez’s oral history of the Mission’s Central America–themed murals. “Enrique’s Journey,” one of Rojas’s most evocative artworks, is based on Sonia Nazario’s Pulitzer-winning nonfiction book about a Honduran child who faced robbers and multiple deportations in his efforts to reach the United States and find his mother. That mural has earned widespread praise from, among many others, Nazario herself. Rojas believes that making murals has become “a double-edged sword because you might be beautifying the experience of a neighborhood for rich people that are coming in and raising property values.